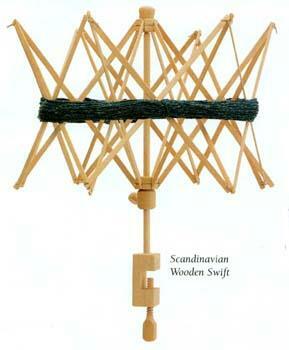 These Scandinavian Wooden "Umbrella" Swifts are made to last. Includes a built-in mounting clamp. This swift holds skeins from 12 inches to 100 inches in diameter. Not a Chinese copy. . . This is the Real-Deal Swedish Swift!